Courtesy Jürgen, Pixabay, (CC0 Public Domain). The Barcelona Supercomputing Center released their new CALIOPE EU smartphone app to the public, providing an air-quality forecast for up to two days in advance using the powerful MareNostrum III supercomputer. A Europe-wide air-quality forecasting app called CALIOPE EU has been released by the Barcelona Supercomputing Center (BSC). The app, which predicts air pollution levels at any location in Europe, can help those who are sensitive to air pollutants to plan ahead. CALIOPE EU generates its forecasts using the air quality prediction system CALIOPE that is run using the MareNostrum III supercomputer housed at the BSC. Everybody loves a nice bit of fresh air. But now you can see how fresh it really is with a simple glance at your smartphone! A new free mobile app called CALIOPE EU has recently been made available that will allow users to access a 48-hour air-quality forecast. The app can give predicted measurements of five major air pollutants (nitrogen dioxide, sulfur dioxide, ozone and two types of particulates) at any location in Europe. CALIOPE EU was developed by the Earth Sciences Department at the Barcelona Supercomputing Center (BSC) in Spain, through the European-Commission-funded MYGEOSS project. In November 2015, it received an award from the Group on Earth Observations organization for being one of the best environmental applications that utilizes open data. The app is an EU-wide version of a 2013 CALIOPE app that made pollution forecasts available for the entirety of Spain. Both of these apps rely on the use of the air-quality modeling system created in 2007 that goes by the same name of CALIOPE. This complex system integrates four different predictive models: HERMES v2.0, an atmospheric emissions model that estimates levels of anthropogenic and natural pollutants; WRF-ARW v3.5.1, a meteorological weather prediction system similar to ones used by news broadcasters; CMAQ V5.0.2, a model that uses atmospheric science and air-quality modeling to predict the deposition of chemicals such as ozone and particulate matter; and BSC-DREAM8b v2.0, an atmospheric-dust forecasting system that predicts the progress of desert dust in the atmosphere. These models are run and combined together using the MareNostrum III supercomputer housed at BSC to create the CALIOPE air-quality forecast that is used in the CALIOPE EU app. The CALIOPE modeling system can be employed in various different ways. The most common purpose of the system, and the sole purpose of the CALIOPE EU app, is to provide forecast information on pollutants. This can help those who suffer from respiratory conditions or those more susceptible to pollutants to be aware of periods of high pollution. However, CALIOPE also has applications outside the smartphone app. “We can apply the system as a diagnostic tool to study a specific problem,” says Soret. CALIOPE has already been used in this way, to study air-quality problems in Santa Cruz de Tenerife. 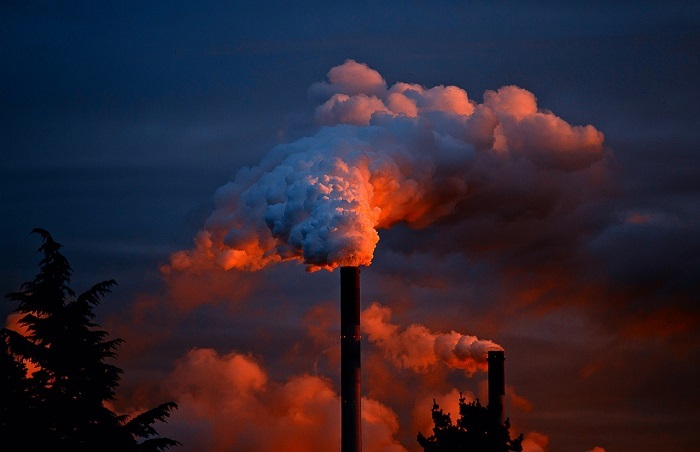 In a similar way, the modeling system can be used by government administration for air-quality planning, such as testing the effect of pollution-reducing measures.